While there is a huge interest in using a composting toilet in an RV, instead of the conventional, flushable RV toilet, especially from those with a desire to live a sustainable, green, off grid lifestyle, there are many environmental reasons, as well as practical and financial reasons, to NOT install a composting toilet in your RV. Composting toilets generally cost around $1,000, so they are not cheap. They are flushless, and are designed to compost human waste into a rich soil for planting in a garden. Unfortunately, it takes several months for the composting process to fully play out, and for the composting toilet to fully compost human waste into garden soil. Composting toilets are ideal for an off grid cabin with a compost pile out back; simply dump the toilet into the compost pile, and watch it transform into nutrient rich gardening soil. A compost toilet could also work for a part-time RVer, who has a compost pile in their back yard. Yet wanna be fulltime RV boondockers seem to have to most interest in composting toilets. If you can put the waste into a composting heap in your yard, or if you store your RV for six months or so at a time, the composting process can proceed as it should, either in the compost pile or in the toilet. But if you don’t have a compost pile in a back yard, or you are living fulltime in your RV, then you will be forced to deal with un-composted poop, and you will need to find an appropriate place to put it, while on the road. If you desire a composting toilet because you wish to live a “green” lifestyle, having a composting toilet in a fulltime RV could defeat that purpose; if you are forced to remove the solid waste from the toilet (every 2-4 weeks) before it is fully composted (several months) then you will need to (1) put it in a plastic trash bag, and throw it in a public dumpster, which is unsanitary, and often illegal. (2) Dump it on the ground, also illegal, or (3) bury it on public land, to a depth of at least 6″, which is easier said than done, since we are talking about a good sized plastic grocery bag full of partially composted poop. If you want to avoid using your conventional RV toilet, in order to gain more time between dump stations, a more practical and economical way to deal with it might just be, taking a small gardening shovel out to the bushes, digging a small 6″ hole, and just do your business cat style, one dump at a time. 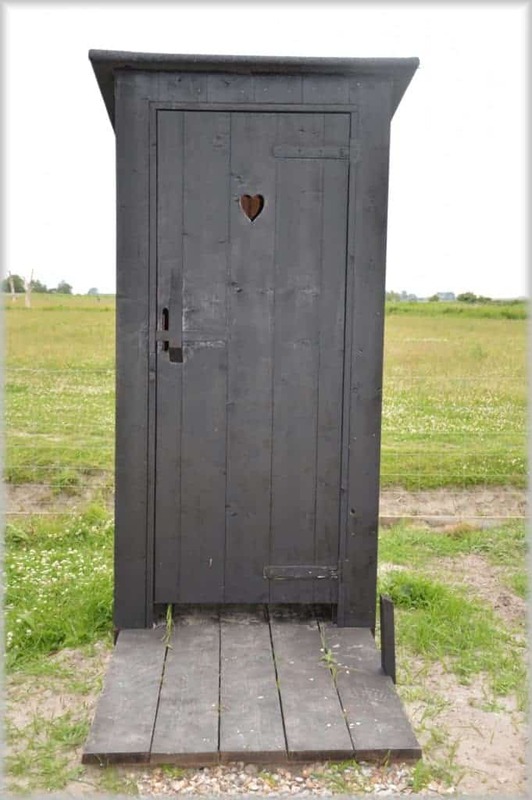 Another thing to consider regarding the design of a composting toilet; they separate the liquid waste (pee) from the solid waste (poop), leaving you with 1-3 gallons of urine to dispose of. Ideally, you should put the urine down a campground toilet, but if your goal is to boondock away from civilization, then you would need to go find a toilet somewhere, every few days, to dispose of your 1-3 gallons of urine, which sort of defeats the purpose. And dumping 1-3 gallons of piss onto the ground? Well, that is not very “environmentally friendly”, and probably not legal. Once again, it would be more practical and environmentally friendly to just go into the bushes, and pee one offs. You might want a composting toilet to save on water while off grid, but the amount of water you will save will be nominal. A better water conservation method might be, save up your pee to flush your poop, rather than using the water from the toilet to flush it down. Also, you can dump the soapy dish water from pots and pans you may wash, into the toilet for flushing. Most public lands have a two week stay limit, and depending on the size of your black and gray holding tanks, you can probably make it that long between dumps. Also, how long can you go between grocery shopping and laundry trips? 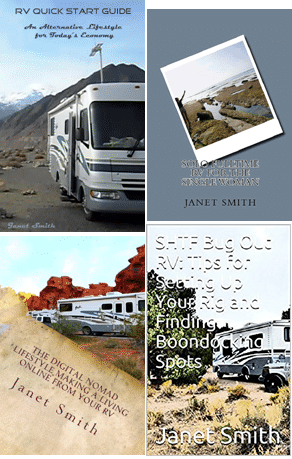 If you are living fulltime in an RV, with limited storage, probably just 2-3 weeks. And how big is your fresh tank, and how long can you go between fill ups on fresh? And fill ups on propane? So all that considered, you will most likely have to come in from the boonies every 2-3 weeks anyways, so why not just dump your black tank, and save yourself the expense, and potential hassle, of a composting toilet?